I found myself with a bunch of over-ripe bananas the other day. Normally the first thing I’d think to make would be banana bread but on a warm June afternoon, following a day spent in a stuffy office, the last thing I wanted to do was bake. So I came up with this very quick and simple banana yoghurt dessert, with a base of trifle sponge – something else I needed to use up. I felt very virtuous knowing I’d avoided filling the food waste bin and we had a scrummy pudding in less than ten minutes. Result. Break up the trifle sponges and divide between four glasses or small bowls. 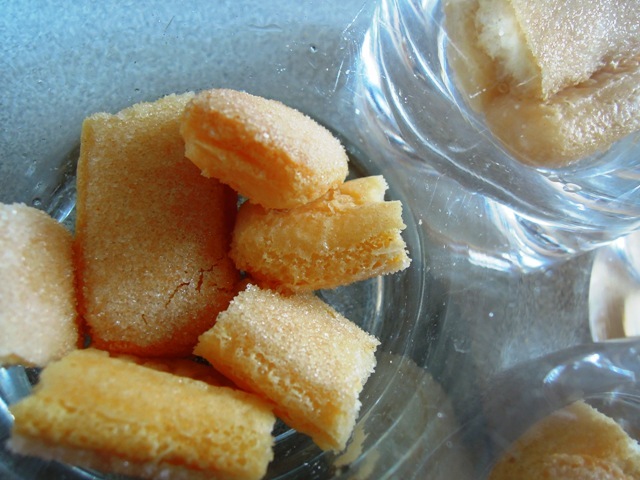 Drizzle over a little apple juice – just enough to soak into the sponges and make them soft. 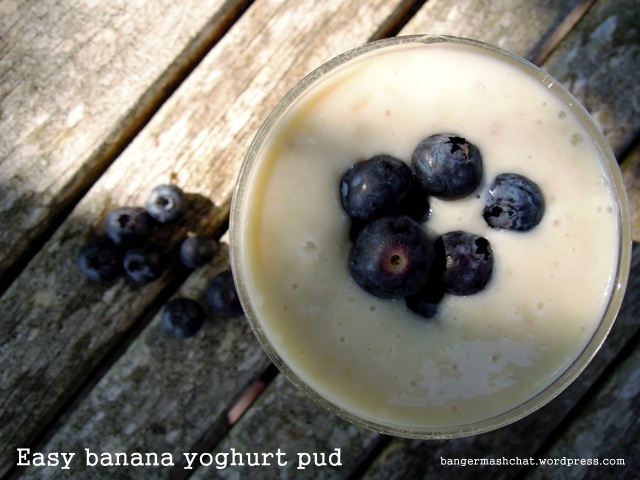 In a blender, simply whizz up the bananas with the yoghurt, vanilla extract and honey. 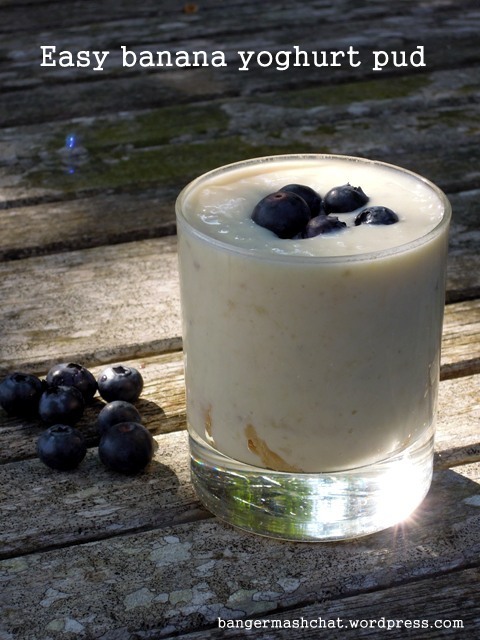 Pour the banana mixture over the trifle sponges in each glass and garnish with blueberries or whatever berries you might happen to have in the fridge. It’s so easy it hardly warrants a recipe but you’ve got one anyway! Great idea. I have some overripe bananas and the banana bread but surely not baking weather thing was going through my head too. Don’t have the trifle sponges but reckon this would be yummy without it too? Absolutely. To be honest my husband wasn’t that fussed by the trifle sponge element but I adore them and could eat them in just about any dessert! I think my kids will love this. I’ll have to hide some bananas so they don’t get ate up too soon.